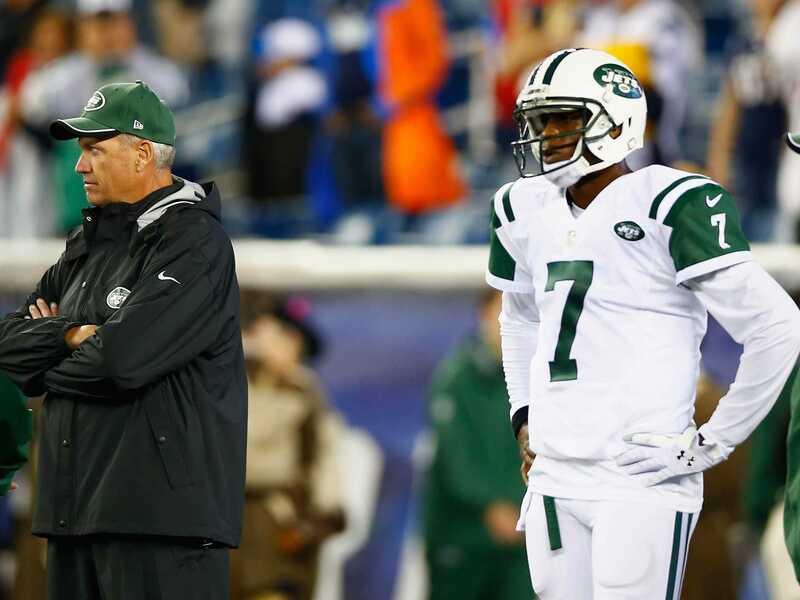 Jared Wickerham/Getty ImagesThe Jets’ long season could get even longer. With six games remaining, there is the real possibility that the Jets are going to finish 1-15. Of those six games, four are on the road and four are against winning teams (Patriots, Bills, and two against the Dolphins). The only two games against teams with losing records (Titans, Vikings) are both on the road and there’s a possibility that the Vikings could have Adrian Peterson back in time for the game against the Jets on December 7. Typically, a team with a 1-15 record gets the top pick in the next draft. But thanks to the Oakland’s ridiculous schedule, there is a plausible chance that the Raiders are going to go 0-16. That means the Raiders would get the best player in the draft. There’s also an absolute nightmare scenario where the Jets go 1-15 and don’t get a top-three pick. 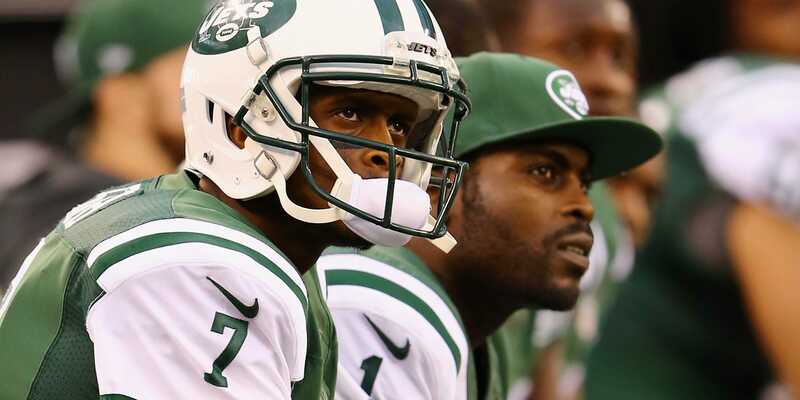 If both the Jacksonville Jaguars and Tampa Bay Buccaneers go 1-15, the Jets would likely get the No. 4 pick because they’d probably finish the season with the toughest strength of schedule, which is the draft order tiebreaker. One of the biggest problems of course has been the performance of their quarterbacks Geno Smith and Michael Vick. 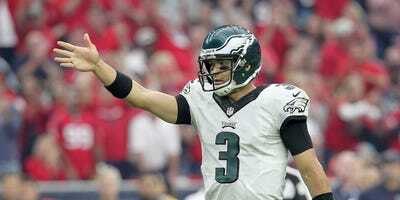 According to ESPN’s Total Quarterback Rating, Smith is ranked 30th among 31 quarterbacks with enough games to qualify and Vick would be 32nd if he did qualify. Al Bello/Getty ImagesThe Jets are still looking for the answer at quarterback. The Jets are bad, but they’re also unlucky.